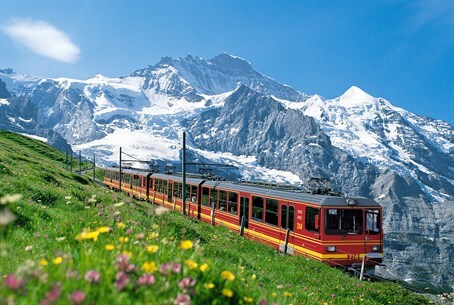 Enjoy the perfect kosher vacation for the whole family with Tour Plus in Wengen, Switzerland. A summer vacation is one of the events we very much look forward to throughout the year. The entire family stops its daily routine, and gets together for a shared holiday, quality time, and new experiences - all of which strengthen the family connection. We create sweet memories, which will accompany us and our children for many years to come. Everybody thinks they know their family well, but we promise you that during a family holiday you will discover lots of new aspects. Abandoning your routine occasionally can contribute to the unity of the family. For instance, during a vacation, the entire family eats together, travels together and spends quality time together. We also recommend planning the vacation as an entire family, so that all members will be involved in the decision making and will all look forward for the journey. The city of Wengen in Switzerland is one of the most popular and suitable sites for a family vacation. Switzerland offers a variety of attractions for children and youth such as various parks, museums, nature sites, sports and extreme activities. Wengen and the villages surrounding it have become one of the most famous landscapes around the world. The wide fields, the blue lakes and picturesque trails are the base for a dream vacation. In the summer you will be able to lodge in the Palace Hotel, in the heart of the Swiss Alps, near the main street. This street offers a mixture of cafes and luxury shops and is a heartbeat away from magical landscapes and all the best places for going out. You won't be able to take your eyes off the Jungfrau Mountain and the waterfalls flowing to the valley - all of which you can see through your hotel room's window. No doubt, a good vacation is also measured by your stomach. The meals you will get at this hotel are made up of high level Gourmet kosher food. Our chef ensures that each meal is a celebration of culinary tastes. In the dining room you'll enjoy a rich buffet, a variety of bars with all the drinks you could ask for, high quality meat and fish and all the appetizers to complete your perfect culinary experience. In Tour Plus we understand the need for a kosher family vacation and offer the perfect solution. In light of our previous success, Tour Plus will offer this year a perfect kosher summer holiday at our hotel in Wengen, Switzerland. This trip, as well as all of our deals, offers only the highest standard of service. We invest all our resources and efforts, and time and energy, to create the perfect dream vacation. We choose the location of the hotel with special attention to the quality of meals and every parameter for the religious traveler. Our hotel is open all summer! You can book a room for only one day or just for Shabbat. There is also an option for rooms at reduced rates in Edelweiss Wing. We not only offer vacations in Switzerland, but also have a few kosher hotels in northern Italy, St. Petersburg and Slovenia. You are welcome to join us for a kosher wonderful holiday this summer and all year long!